What holds the vehicle up - the air or the tire? Rather than tell you my answer, allow me to walk through a series of steps that illustrates what I think is going on. 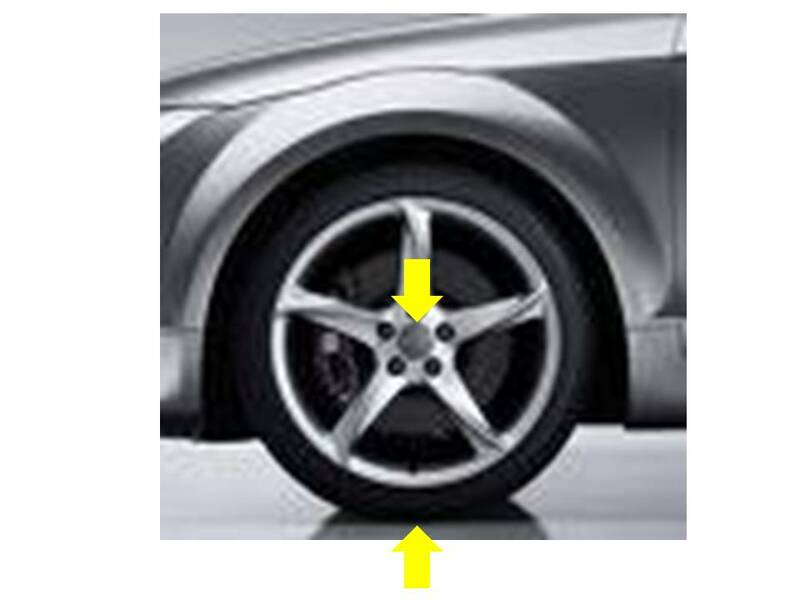 I've indicated the 2 forces that are acting on the area in question - an upward vertical force acting on the tire (the ground support) and a downward vertical force acting at the hub (the weight of the vehicle). For the purposes of this analysis, we'll neglect the weight of the rim and the tire. The weight of these components is small compared to the weight of the vehicle and doesn't affect the outcome. Now let's look at the rim (wheel) and the tire. The rim is attached to the hub and it is the only thing between the tire and the vehicle. The tire is the only thing between the rim and ground (except for the air inside the tire). 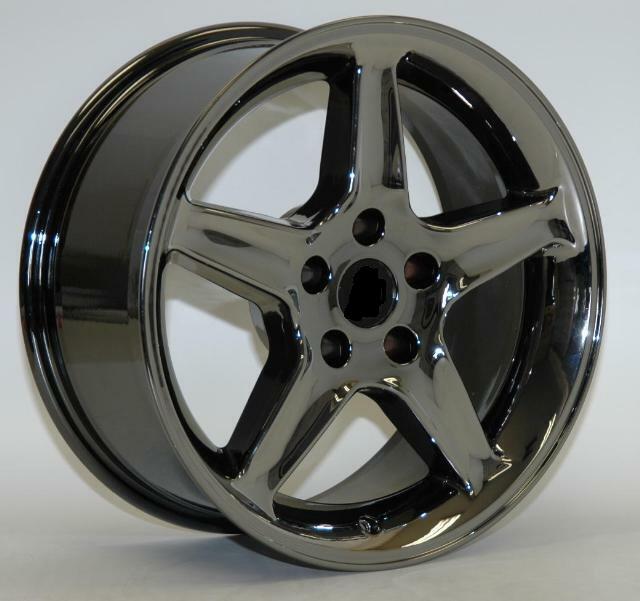 Looking at the rim, you can consider the rim to be a hoop of material (it's usually a metal of some sort - typically aluminum or steel) with a flange on both edges of the hoop so that the air pressure doesn't force the tire off the rim. Let's ignore the tire for the moment - We'll come back to it later. 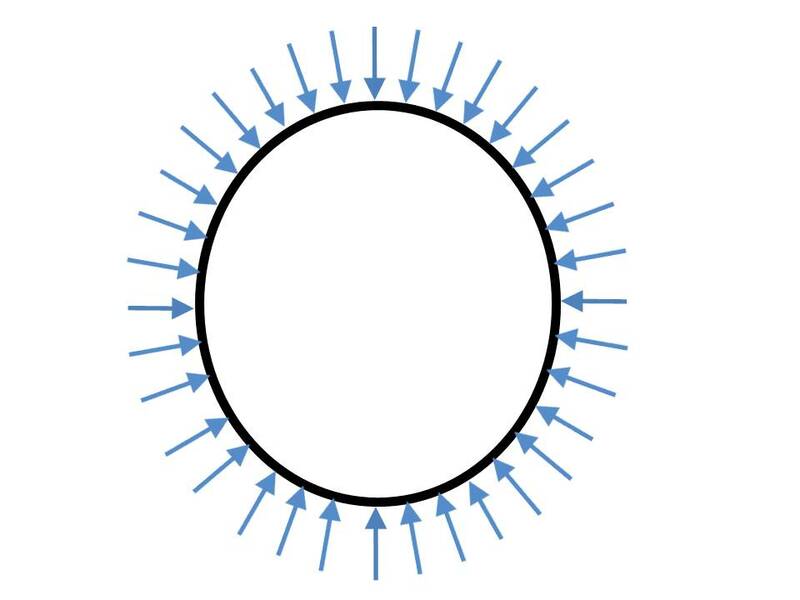 The hoop shaped rim has a width, but if we look at the rim edgewise, it is a circle with a connection to the hub. This connection is sometimes called the "spider" - and the "spider" and the rim together make up the wheel. The pressure that is being exerted on the rim is the same completely around the rim. There is no pressure differential from left to right or from top to bottom. In other words, there is no sideways force being generated on the rim and there is no vertical force being generated on the rim (up and down). No net force at all - just a pressure towards the center. But we know the rim is carrying the load of the vehicle, so there must be something that is resisting the weight of the vehicle (and the upward force of ground) - and there is only one thing it could be. 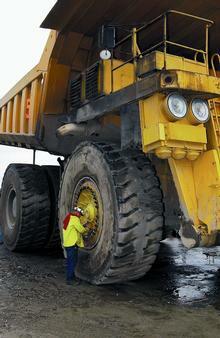 The tire is carrying 100% of the weight of the vehicle (and, of course, the rim). 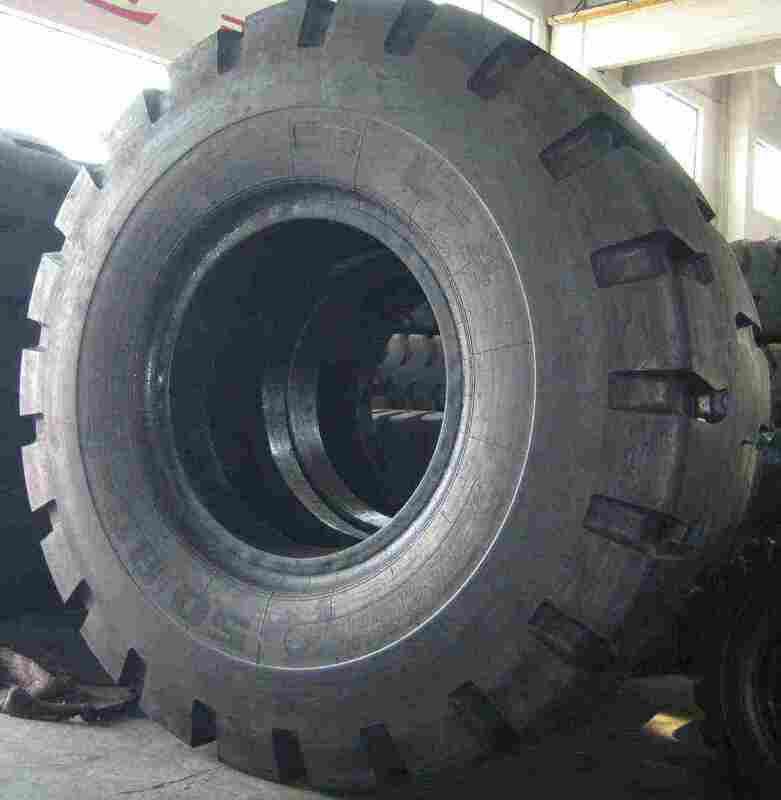 The weight of the vehicle is distributed around the structure of the tire, so that adds very little to the weight that is already being carried. If this is so, what are the implications? 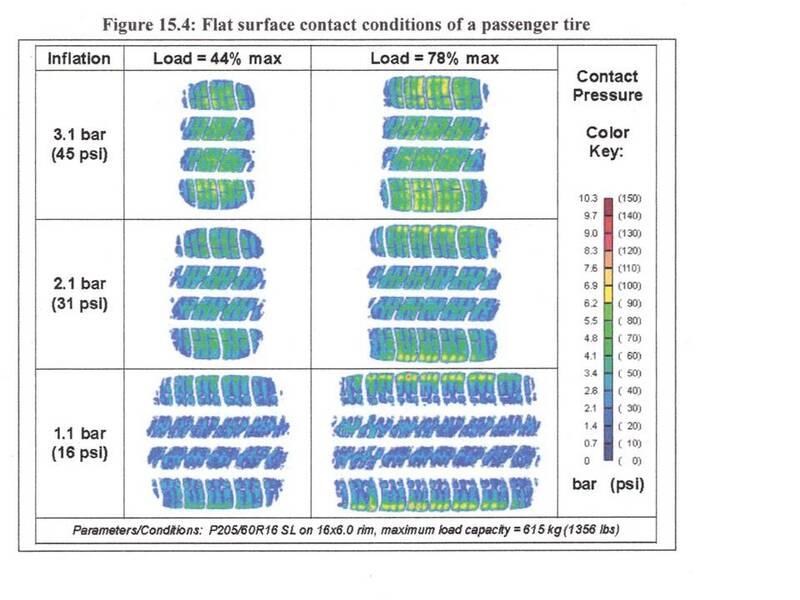 Evaluation of the Contact Pressure Distribution of a Rear Combine Tyre on a Hard Surface by P. A. Misiewisc, et al, presented at the 28th Tire Society Conference in Akron, OH, USA, Sep 15 and 16, 2009. The size of the footprints are different for each tire, even though they were measured at the same load an inflation pressure - and the average footprint pressure (load divided by the footprint area) does not equal the inflation pressure. I'll leave it to the reader to do the calculations. We all know that the tire deforms in the area of the footprint - you can see the sidewalls bulging out. But if the tire is supporting 100% of the load, then the axle might also be pulling down from the top. 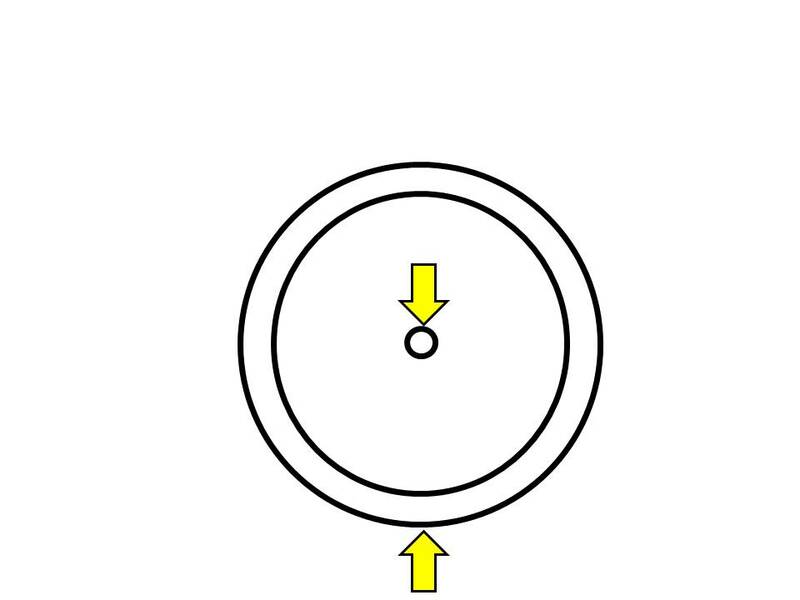 To the left is a schematic of this, where the solid lines are the unloaded tire and the dotted lines are the tire supporting the load. If the tire is doing all the support, then the entire tire is being distorted. The sidewalls near the footprint (contact patch) bulge out because the tread is being compressed towards the rim, but also, 180° from the contact patch (the "top" of the tire), the rim is pulling down from the tread. 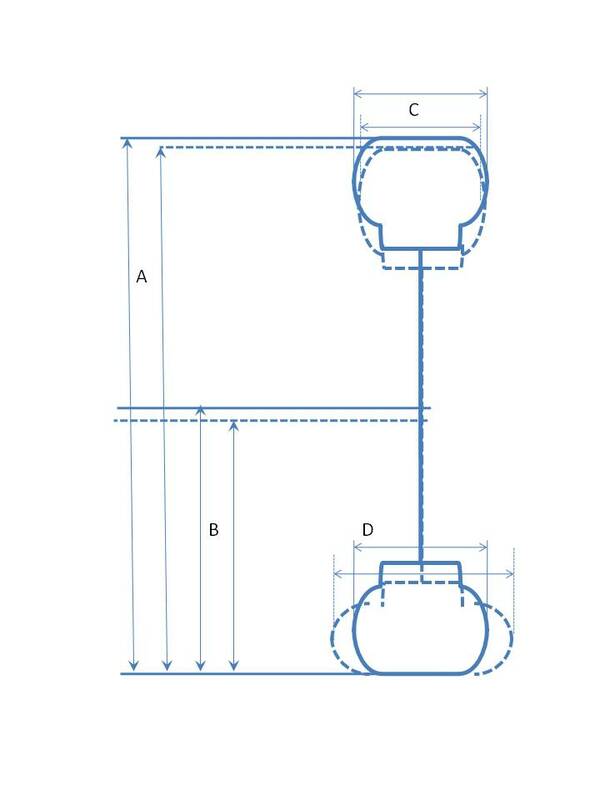 This should cause the section height to increase (which is why we are measuring Dimensions A and B), as well as the sidewalls to be sucked in a little (which is why we are measuring Dimension C). And while I am at it, I am going to measure the circumference of the freestanding tire - and if my math skills haven't degenerated too badly - I ought to be able to match the diameter (Dimension A). As a side issue, I am going to keep the tape measure around the tire and measure the change when the tire is loaded. I am going to call all these measurements "perimeter" - since "circumference" seems to imply an undistorted tire. I am going to predict that the perimeter measurement is going to get smaller with both load and inflation pressure. 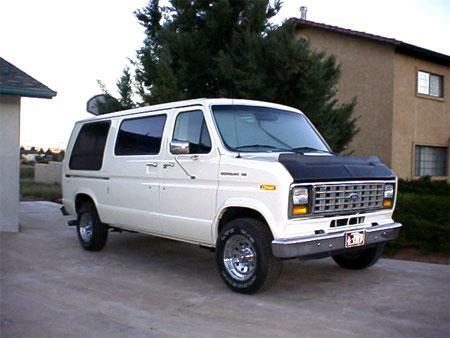 I am going to do these measurements using the rear axle of a 1987 Ford E-150, much like the one pictured to the right. The rear axle is solid (not independent) and that means I can use the center of the axle (where the differential is housed) to lift and lower the vehicle without inducing a tilt. The van is also pretty heavy and lowering the inflation pressure is going to have more of an effect. At the time I am writing this, the weather outside not suited for this activity, so I'll outline what I expect to happen, then document the actual results. I'll take photos so you can see how I did it.